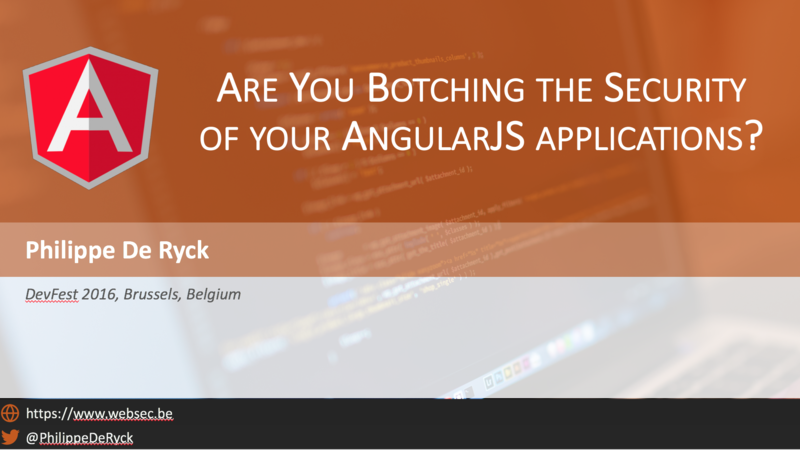 I talked about AngularJS' built-in security featuers at DevFest Brussels in October. Below, you can find the slide deck for that presentation. « Should you deploy your own CSP reporting endpoint?